Before you bring the kitten home, think about what kind of diet you offer your little pet: "natural" feeding or ready to feed. As a rule, when selling kittens each breeder gives new owners advice on feeding, but some owners for some reason prefer to make their own diets for their Pets. 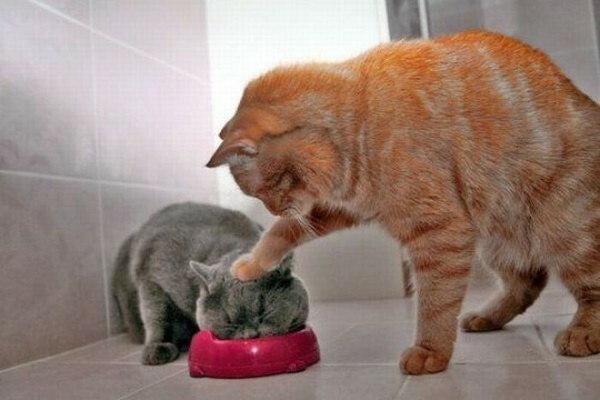 Therefore, these owners of Scottish fold cats, the question arises: how to feed the Scottish lop-eared kitten correctly. bowls for water and food, feed. Keep your kitten free access to food and water. 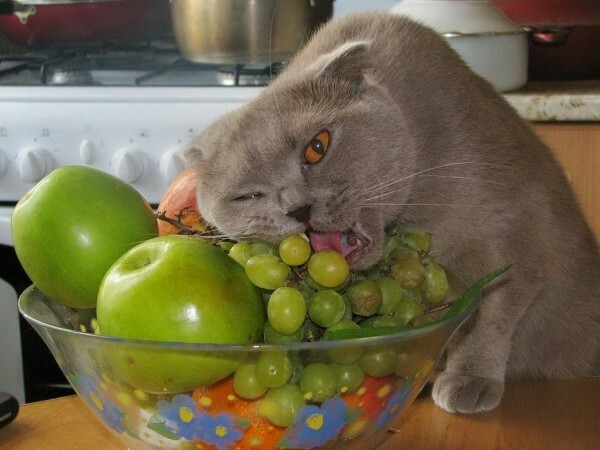 Unlike dogs, cats eat frequently and small portions. Your little kitten can approach the bowl of food up to 20-30 times a day. If you decide to feed your Scottish kitten food or canned food exclusively, at least 4 times a day and rotate food in his bowl in the fresh, such as the food disappears very quickly. But if you are feeding dry food, it may be in the bowl constantly. When natural feeding, every day give your cat meat. It can be beef. Before offering it to your pet, you need to freeze the meat for 3-5 days and give a raw, or slightly boiled. 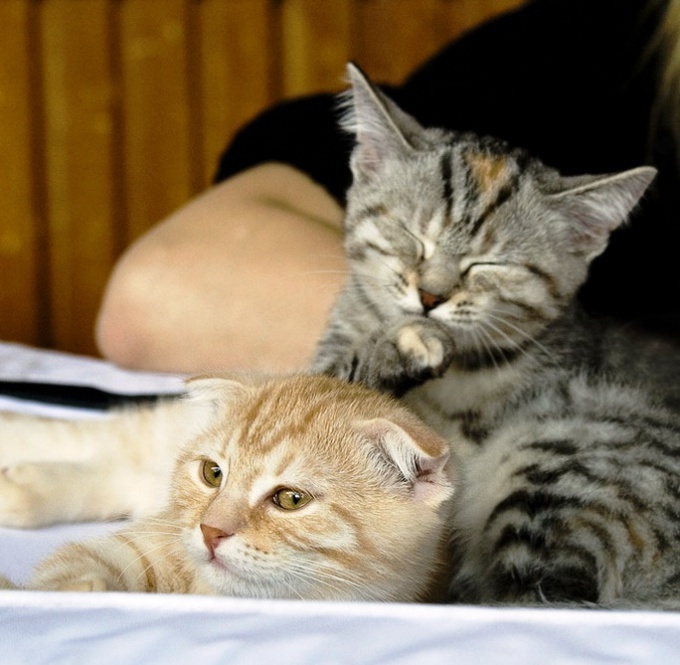 Kittens up to 4 months meat is fed in the form of minced or finely chopped. Poultry (chicken or Turkey) let's just well cooked to avoid Contracting Salmonella. 3 times a week give your pet the offal (both beef and chicken) – liver, heart, lung, kidneys, tripe. Let's just offal in frozen or boiled. Liver let 1 times a week, and only boiled. Fish to cats can be given only seafood, low-fat types. Before you feed your fish Scot, boil it, free from all bones. Do not give your kitten raw or freshwater fish. Do not abuse the fish, let it 1-2 times a week. At constant eating fish (especially raw), the cat may develop kidney stones. Milk can give kittens only to three months. Further, the body of many animals is no longer to digest. Before giving the milk, boil it. And it is better to replace milk in dairy products: yogurt or sour cream low-fat. Don't let your kitten cream. Even with the low percentage of fat this product is harmful to the liver of the animal. Also don't let and yogurt – usually they all contain sugar. A few times a week give your pet a porridge made from rice, cereals, wheat. Cook them in water or milk. If you boil water, porridge, add meat, broth from meat and boiled vegetables, mashed into a puree. In porridge, you can add and egg yolk. If eggs are not home, then be sure to boil them. Grind 1 egg yolk in mashed potatoes and add the porridge. When natural feeding is not forget about vitamin supplements. Before using any vitamins, consult your veterinarian. Seeing the General condition of the kitten and knowing his diet, the vet will help you choose the best for your pet vitamins. A good vitamin supplements will be grass. But in any case do not let the grass off the street. Purchase at the pet store special grass for cats and following the instructions proustite her. 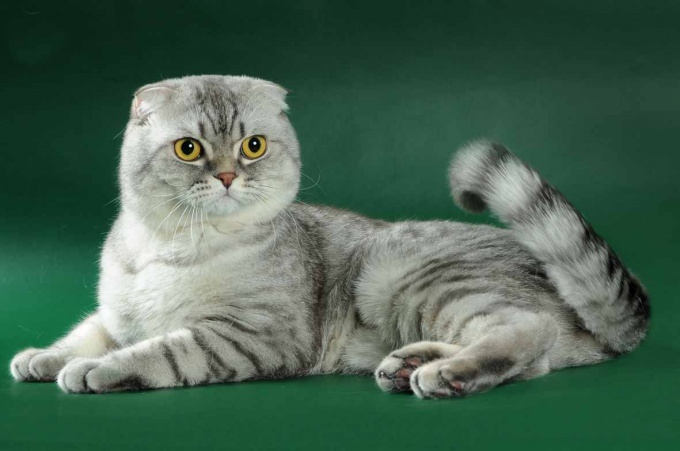 If you decide to feed your Scottish fold kitten ready to feed, choose a feed "Premium" or "Super premium" class. Never feed your baby cheap feeds, this could be bad for his health, as in such feed very little meat as such, but a lot of byproducts (up to the skins or feathers) and are not well balanced vitamins. At feeding by ready forages, do not add kitten vitamins – enough of them to feed. Choose food appropriate to the age of your cat. Don't let your kitten: fried, smoked, salty, spicy foods; chocolate and all sweets containing sugar; duck, goose, game, pork, lamb; any legumes and potatoes. You have decided to buy a kitten Scottish fold. This is a touching and important event both for you and for your future pet. He's got another family, and your little friend and loving companion. Undoubtedly, your responsibility for him as a living being is enormous. Proper care, hygiene, walking, all kinds of vaccinations and of course, nutrition is an incomplete list of upcoming trouble. Include in the diet of your baby low-fat dairy products. By digestibility in the first place are the curds and the kefir from the baby food. More adult cat can be fed cottage cheese 0% fat. But cottage cheese is not get carried away - an excess leads to an increase in the rigidity of the animal and causes the raising of the ears. But soft plush fur and floppy ears are the main characteristics of the breed of your pet. Whole milk is better not to give at all, it causes in kittens diarrhea. Remember that the kitten in a separate bowl should always be clean water. Feed your growing kitten lean meat, such as lean lamb, rabbit, chicken. Before use, boil the meat with boiling water or bring to boil and let cool. So you can be sure of the safety of the product. And eliminate the pork meat as it can lead to fatal diseases of your pet. Also offer your baby boiled offal. But remember that they need not give more than 1 time a week. Buy fish only marine and before feeding your pet, boiled it and liberate from the bones. Don't let the kitten bones from birds, because they are sharp and can damage the wall of the gastrointestinal tract. Be sure to cook the cat porridge and boiled vegetables. They contain all the beneficial vitamins and minerals. Add the vegetables vegetable oil for best absorption. And do not overfeed your pet, because overweight cats can lead to serious health problems.